Our March Meal of the Month is something a bit special with two different and special breads as well as one of the classic Chicken curries that we reckon is hard to beat. Not only is it a great meal to eat here in our restaurant, but it will travel well too if you can’t get out and want a takeaway to enjoy in peace! 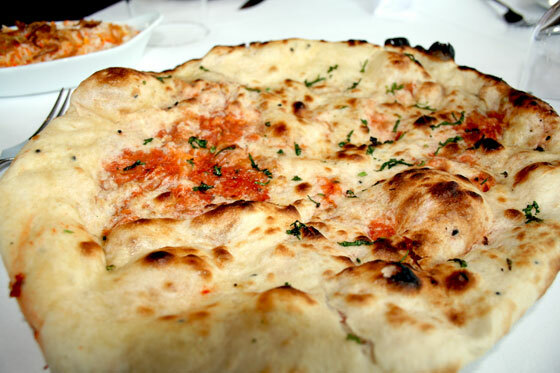 Beautiful puffed bread served with a flavoursome spiced sauce containing beautiful pieces of chicken. Not only is this is a starter that doesn’t require cutlery, there is every chance you’ll end up licking the plate too – it’s that good. 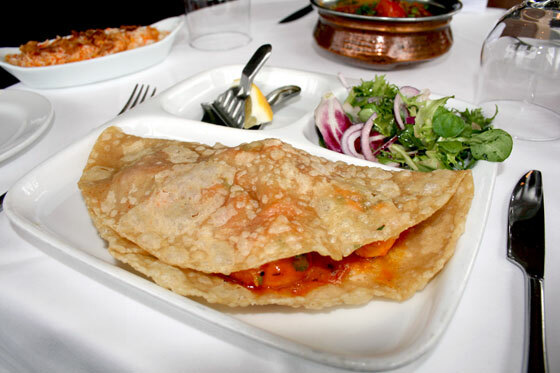 Beloved of Birmingham – the Balti is a great curry cooked in a bucket (not really – but in a flat bottomed balti dish)! Our chef’s special version contains lovely garlic, onions and fresh herbs in a medium spiced sauce and whichever meat you are after. 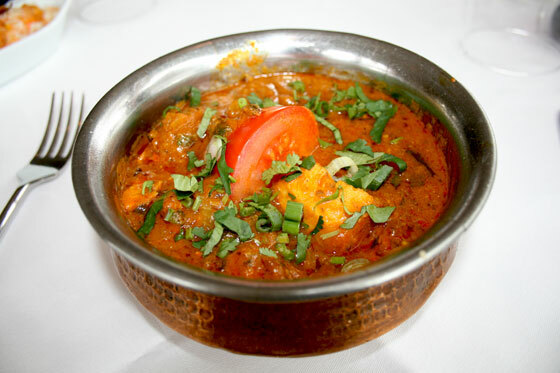 Our recommendation for March is the Chicken Tikka variety with the classic taste of marinated barbecued chicken. 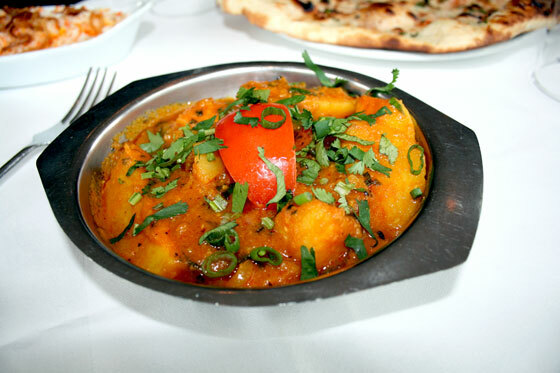 The first recommendation here is the spiced potato dish Bombay Aloo – similar to the classic Sag Aloo – but without the spinach. Accompany this with the meatiness of a great Keema naan. 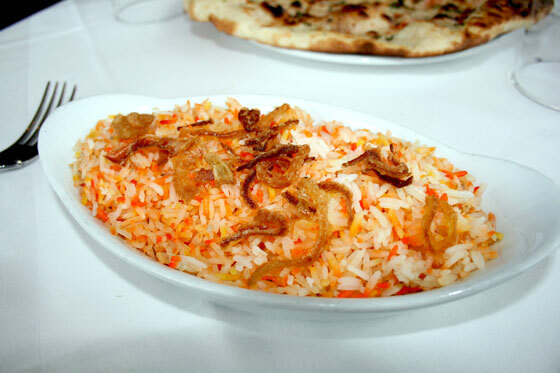 And with the great range of tastes in pilau rice.